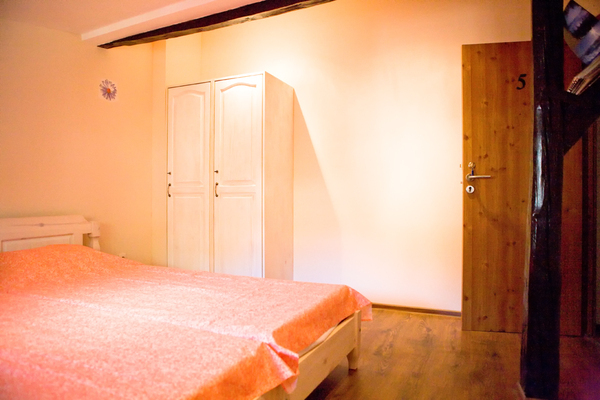 Ulpia Guest House is located in the center of Plovdiv, on the side of key intersection of Ruski Blvd and 6th September. It is literally 2 min walk from The Main Street, 10min walk from Central Station, 15min walk form The International Fair - Plovdiv . The central location of Ulpia Guest House allows you to visit the most attractive sights, go shopping or enjoy the nightlife. Ulpia House is deployed on 2 floors and has 7 luxurious guest rooms with 4 shared bathrooms, fully equipped kitchen, common dinning room with TV, room for storage or sports equipment, garden with relaxation area and BBQ. The house has a fast Wi-Fi access. The guest house is open year round, accept customers with pets.